Resident Evil: Raccoon City is being developed with the shooter fan in mind. One of the biggest departures for the Resident Evil series will likely be Slant Six's upcoming Resident Evil: Raccoon City. The team-based shooter's first trailer shows off a fast pace and more of a focus on shooting than surviving. Producer Masachika Kawata recently spoke to OXM where he went into detail about the "different direction" Capcom and Slant Six are taking with the title. "We aren't aiming for another horror game, but a shooting game," Kawata said. "We will have all the regular shooting game specs and features in this game, but on top of that, we will wrap it up with the Resident Evil brand, the universe." 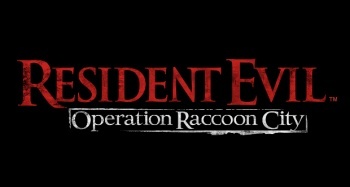 Kawata believes that Raccoon City will be "very, very unique," and he talked about one of the game's systems that will help it to achieve this uniqueness. It'll feature dynamic zombies combined with a health system that makes it harder to take them out when players are injured or bleeding. If players end up in a corner, bleeding, with zombies all around, it might be tough to fight their way out. My guess is that this will be for a reason other than the typical Resident Evil restriction of not being able to run and shoot. Kawata also called Raccoon City a significant entry for the expansion of Resident Evil to other genres. "The horror games can be pursued in the numbered titles," he said. "However, in a different universe in the Resident Evil world, there should be more challenge, there should be something else that I can do." More details on Resident Evil: Raccoon City should be released in the coming months.